There is no cat here. There wouldn’t be a cat on top of my plan chest, sitting on my display calendar, the one that needs to stay nice and clean for customers to look through, having a wash, because that would be naughty. So I had to draw not one but two pictures just now, to make sure that there were no cats at all here. Sorry about the lack of cats. 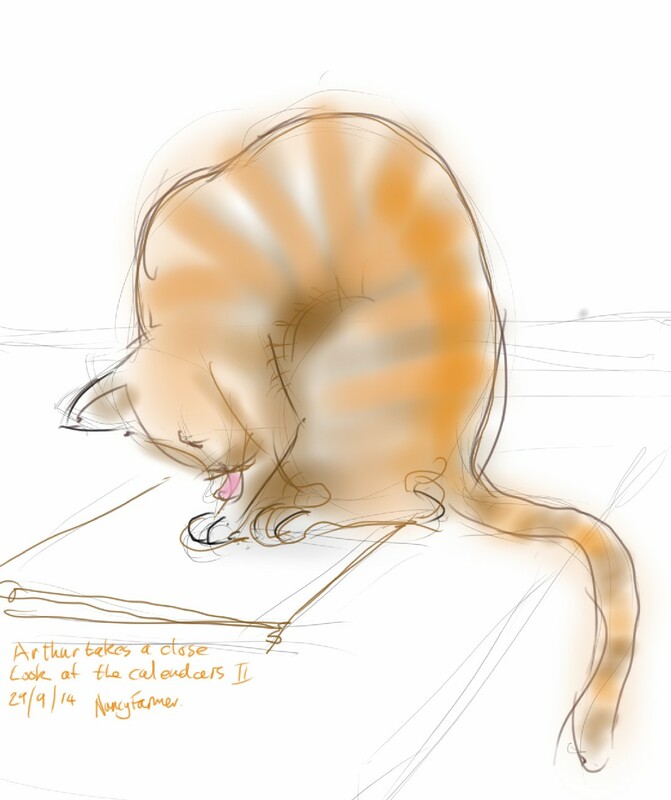 Calendars, which have definitely not been sat on by Arthur, may be purchased online, and do in fact contain a number of cats in the actual illustrations though they are not the sketches from this site, they are my ‘other’ artwork. Details on my main blog here. 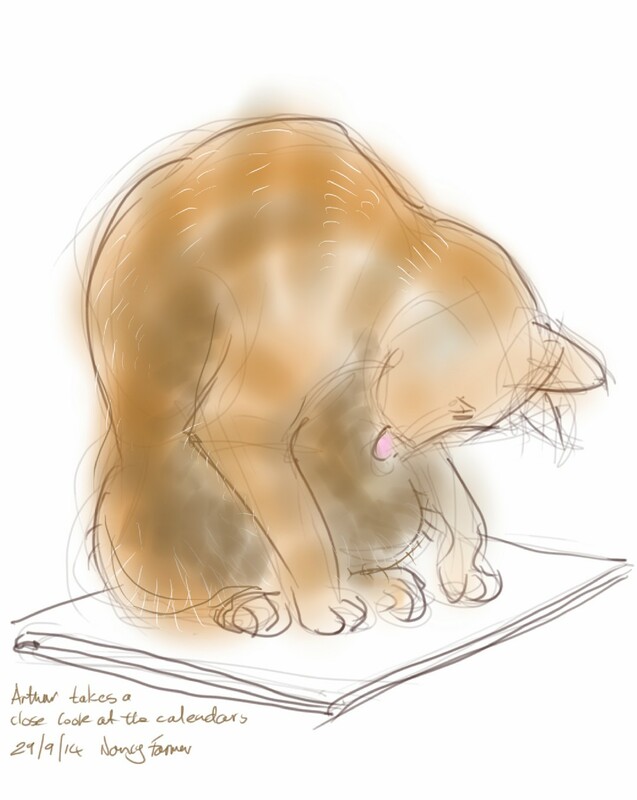 This entry was posted in Cats and tagged art, arthur cat, cat drawing, cat washing, cat-of-the-day, digital sketch, drawing, ginger cat, life drawing, sketch on September 29, 2014 by Nancy Farmer. I’m sure some guarding needed doing…. Hi Nancy, I have nominated you for the Liebster Award, because I love your blog! You can see the requirements by clinking on this link if you want to accept.